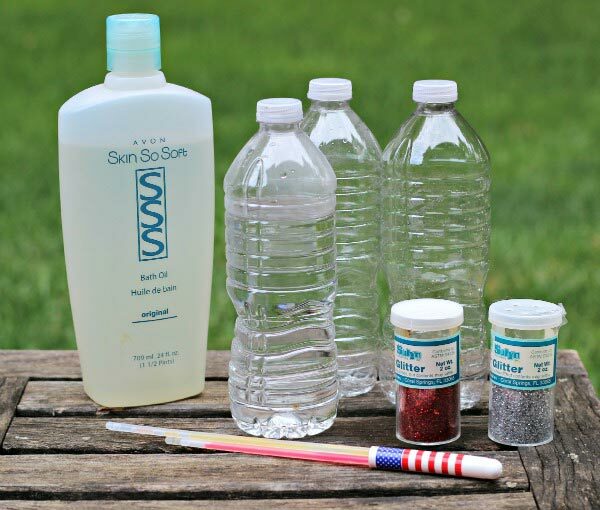 Celebrate Independence Day with these FREE July 4th printable activities & DIY glow in the dark glitter bottles! If you have kids, this week will not get past you without them asking about picnics, parades and fireworks! Which are all reasons to celebrate a little and enjoy some time together. 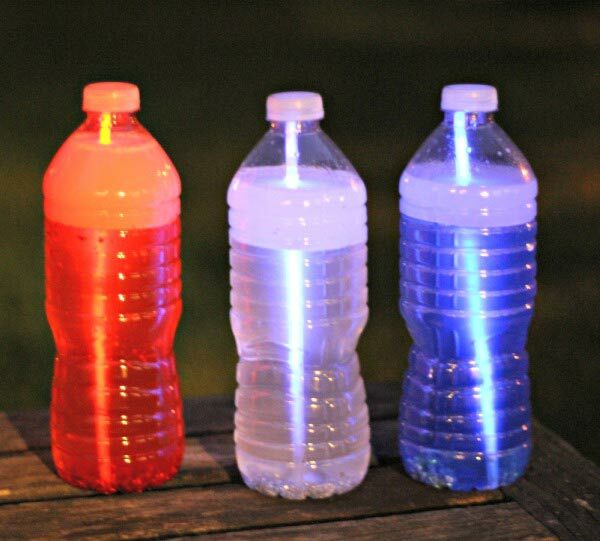 To keep the fun going all day long, we're sharing an easy sensory craft for the kids -- Fireworks Bottles! They are awesome to look at and play with PLUS they have a special secret hidden inside. 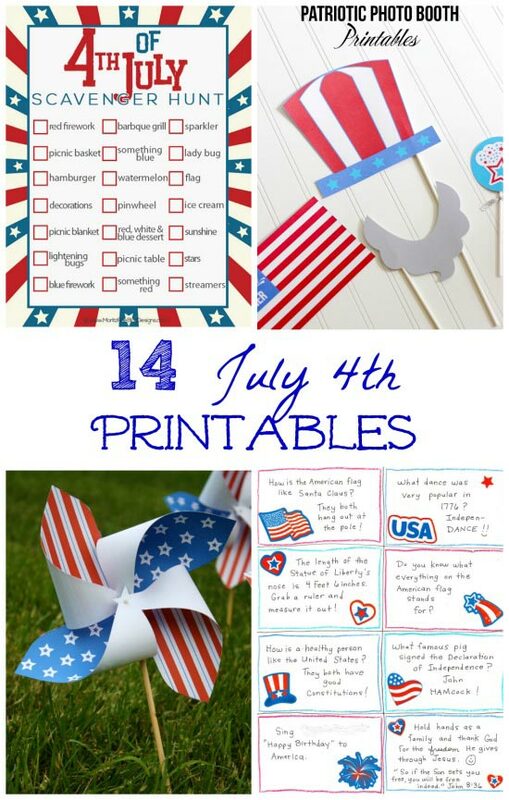 These are super easy, super colorful and work both day & night -- which is a bonus since so many activities on July 4th take place in the evening and after dark. Shh.... you may not want to tell the kids if you'd like to surprise them. 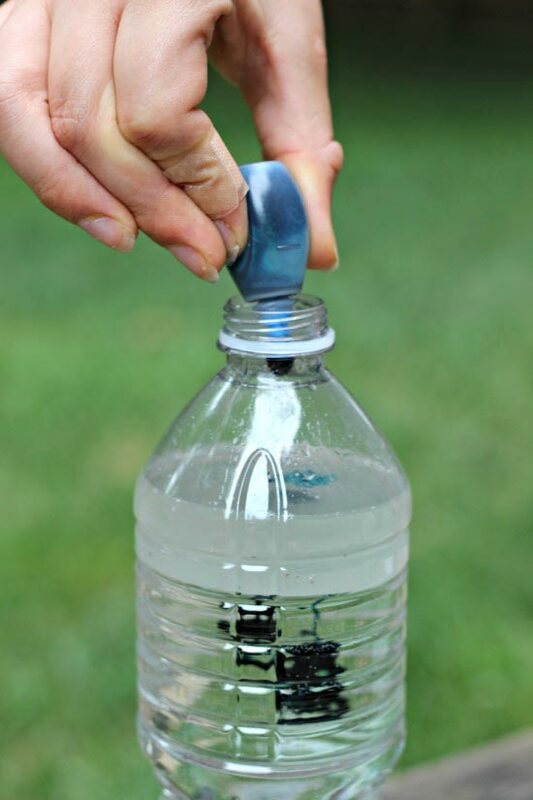 Fill your water bottles 4/5 of the way full with water. Then add some glitter and 5 drops of food coloring (if you choose). Add 1/4 cup of baby oil being sure to leave a little room at the top without any liquid so the bottles will shake nicely. Now 'activiate' a glow stick (by bending it) and drop it into the bottle. As you can see in the photo, this is a great time to talk about the science of sensory bottles -- you can see the glitter falls to the bottom (it's more dense than water) and the oil floats on the top. 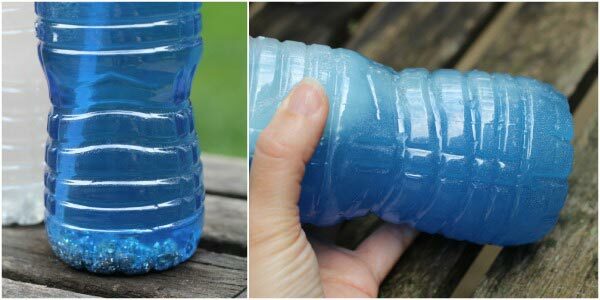 If you want to teach your kids more about density, be sure to try out this hands-on physics and food experiment! 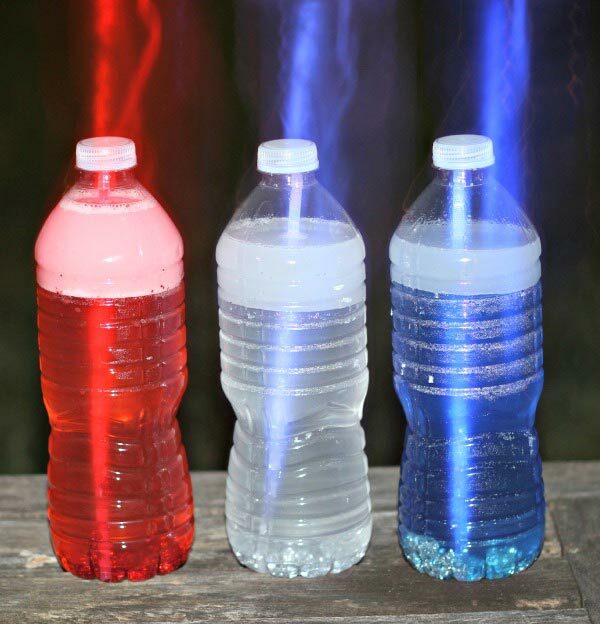 If you can't find red and blue glowsticks, try putting white glowsticks in each bottle and then using the food coloring to create a red & blue bottle. Use about 4-5 drops of food coloring. Bonus: more science! The kids can watch the food coloring as it moves through the oil and water. So is it more dense or less dense? Does is mix with BOTH water and oil or just the water? 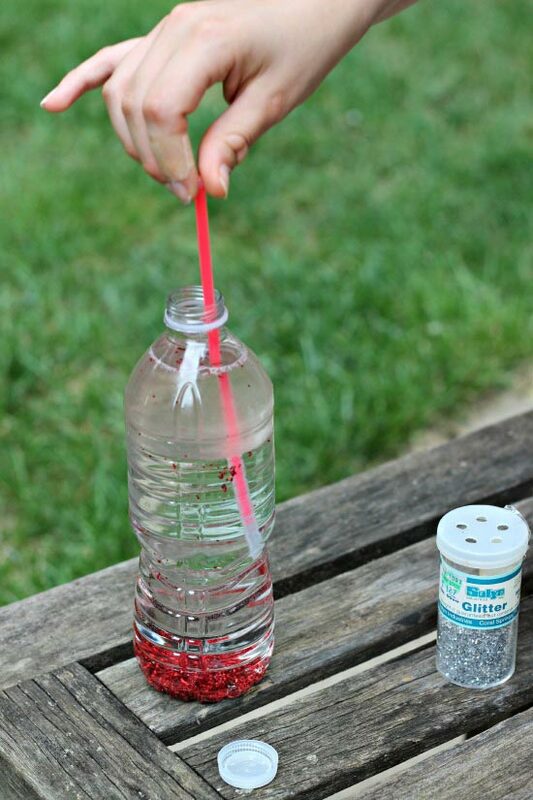 Now the bottles will work just like any other sensory bottle -- shake them up and the kids can see the oil, water and glitter move around in the bottle. It will get cloudy and then separate again which is a fun science lesson on how some substances do or don't blend together. The cool part comes at night when they start to glow and the sparkles in the bottle look like fireworks! They are great to take with you to a fireworks show -- the kids have something to keep their hands & eyes busy until the fireworks begin. And here's another cool idea, if you're taking a photo of the kids playing with them at night, you can capture a really awesome 'ghost' color stream if the kids move the bottle or if you move your camera just a little. But you do have to wait until dark which is never an easy thing for kids to do. "Mom, do you think they're glowing yet?" "Not yet, it's still not dark." "Still no -- how about we go for a walk and see what they look like once we get back." So while you're waiting on that special surprise to show up in the bottles, why not enjoy a few of these awesome & free printable games! 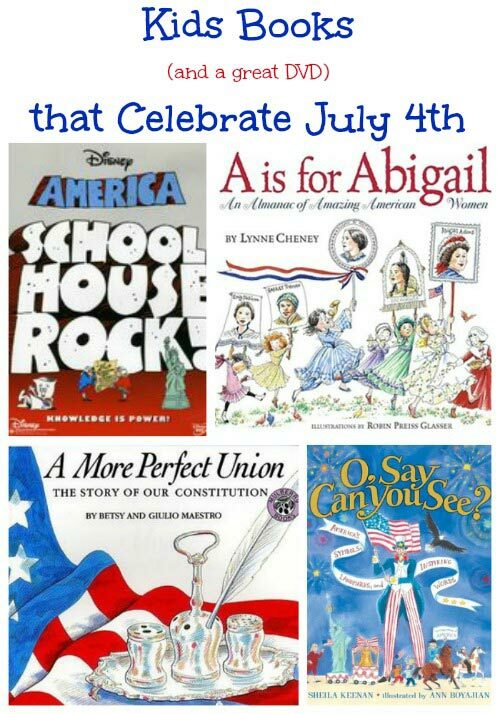 For more Independence Day fun, be sure to grab a few of these great books (or DVD) for July 4th at the library this week!